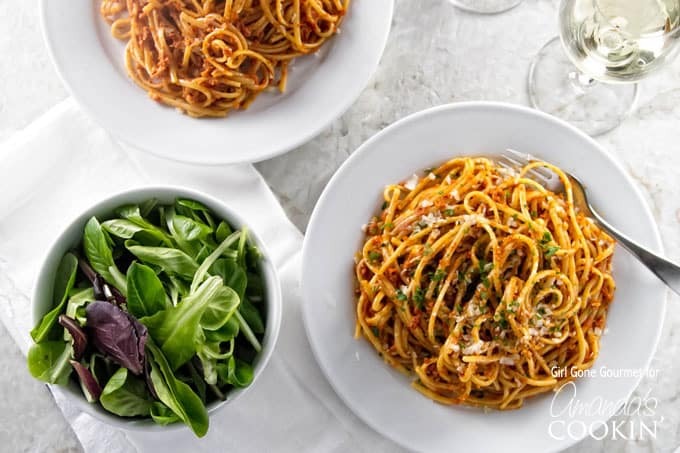 A delicious twist on traditional pesto, this sun-dried tomato pesto is easy to make and even easier to eat. Toss it with hot pasta for a quick and satisfying weeknight meal. After one too many bad experiences using out-of-season basil to make traditional pesto I’ve started making ‘gateway’ pesto. These culinary concoctions, like spinach & parsley pesto and beet tops pesto, get me through to summer when my basil plants finally take root in our tiny little herb garden. 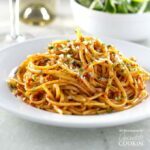 This sundried tomato pesto is one of my new favorites – it’s simple to make and so full of flavor. Sun-dried tomatoes have a rich, slightly sweet flavor that pairs well with the almonds and cheese and it’s so good you may not even miss your regular basil pesto. This is going to be one of your favorite food processor recipes! This recipe makes one cup of pesto, which serves about six people, and it keeps well in the refrigerator. Besides tossing it with hot pasta, use it as a sandwich spread, mix it with cream cheese for your morning bagel, or thin it out with additional olive oil for a great salad dressing. Moral of the story? 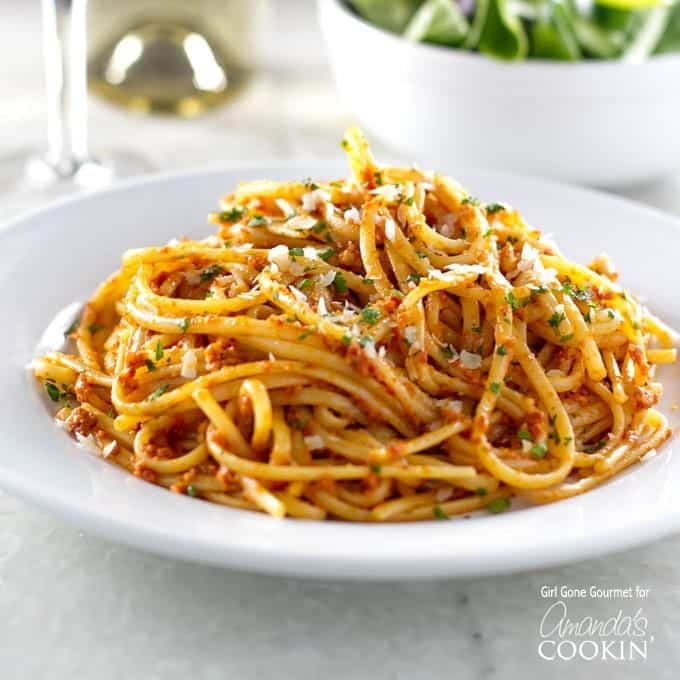 There a lot of ways to use it, so consider doubling the recipe to have sun-dried tomato pesto on hand all week. 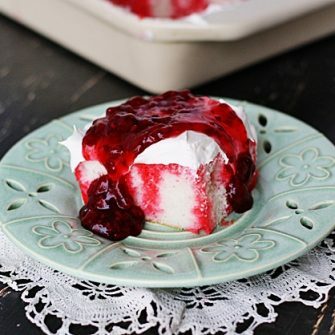 Love using your food processor for recipes like this? Don’t miss these different ways to use your food processor in your kitchen! Boil the pasta according to package directions. 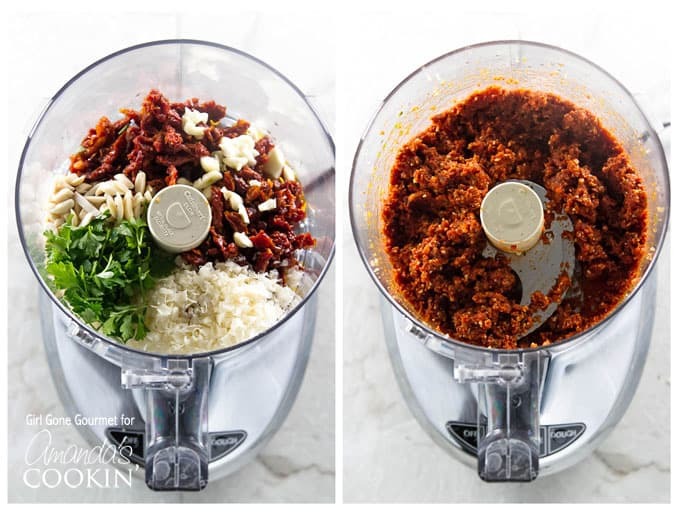 While the pasta is cooking, combine the cheese, sun-dried tomatoes, almonds, garlic, and parsley in a food processor. Pulse until the ingredients are chopped. With the food processor running, slowly add the olive oil until it's fully incorporated into the mixture. Reserve about a 1/4 cup of the starchy cooking water before draining the pasta. Toss the pasta with the pesto until it's well-coated. Add a few tablespoons of the starchy water, if needed, to thin the sauce and serve.